Everyone, the dragon has landed. 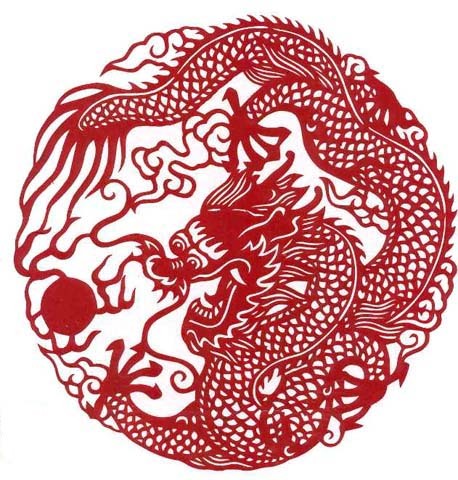 It’s the Chinese New Year of the mysterious dragon. 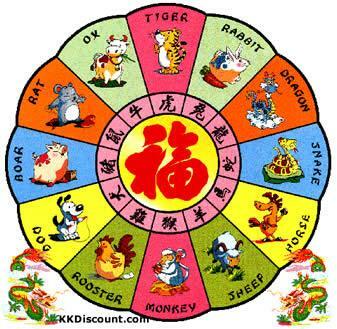 There are 12 animals in the Chinese zodiac, each animal represents a year rather than a month in the Western zodiac. The animal orders as follows, from the first to the last: rat, ox, tiger, rabbit, dragon, snake, horse, goat, rooster, monkey, dog, pig. There are several legends about how these animals got chosen for the Chinese zodiac. The most well known one is that the Emperor of the Heaven decided there should be a way of measuring time, so on his birthday, he told all the animals that there was a race. The first 12 animals across the finishing line would be the winners and they would each have a year of the zodiac named after them. Somehow, the rat finished first by hanging on the ox’s back then leapt over the ox’s head just before the finishing line. My grandma used to tell me this story when I was a little girl. The story never really made any sense to me as I just couldn’t work out, still can’t work out why the flying dragon and fast running tiger will lose to the rat? And how come the horse will lose to the rabbit? Every time I put my questions forward to my grandma, she always gave me the same answer, ‘it’s a traditional story, it’s been passing on for hundreds of years, you should keep this proud tradition.’ Still, I think it’s not right for the rat to win the race by cheating. I’m voting for a rematch! Many Chinese people believe that a person’s life is influenced by their zodiac sign. Young singletons often seek their partner with a zodiac which is not in clash with each other. For example, a rooster and a monkey together is a big no no. A dragon and a tiger together is a big clash, why? you guessed it, they will alway fight with each other. 1. Rat means Clever and Optimistic. Good marriage combinations: dragon, monkey, ox 2. Ox means Hard-working and Steady. Good marriage combinations: rat, snake, rooster 3. Tiger means Adventurer. Good marriage combinations: horse, dog, pig 4. Rabbit means Gentle and Kind. Good marriage combinations: goat, dog, pig. 5. Dragon means powerful and aggressive. Good marriage combinations: monkey, rat, rooster. 6. Snake means mysterious. Good marriage combinations: ox, rooster. 7. Horse means independence and open. Good marriage combinations: rabbit,dog, pig. 8. Goat means gentle and cultivated. Good marriage combinations: horse, dog, pig. 9. Monkey means intelligent. Good marriage combinations: rat, dragon. 10. Rooster means exciting. good marriage combinations: ox, horse, snake. 11. Dog means upright and faithful. Good marriage combinations: tiger, rabbit, horse, goat. 12. Pig means straightforward. Good marriage combinations: goat, rabbit. Please don’t worry if your zodiac clashes with your partner’s zodiac, you can always lie about your age. 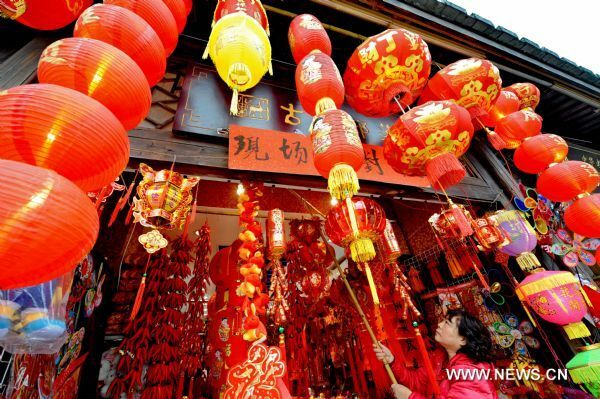 There are many traditions that people have to follow at Chinese New Year. One of them is every family has to set off fireworks at the midnight of the New Year. If you don’t, then you will have a bad year ahead of you. So when the clock strikes at midnight, all the fireworks goes off at the same time, from every direction. It sounds like the Third World War has broken off. 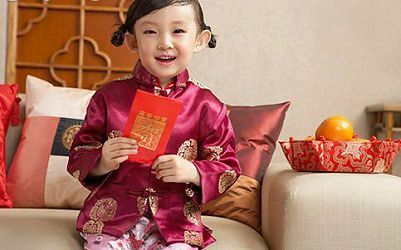 Another tradition is that children will receive money in a red envelope from their parents and grandparents. It’s considered to be rude to open the envelope and count the money in front of them. It’s also considered to be bad luck if you clean your house on the New Year’s day. Well, pretty easy to follow this tradition ( in fact, I try my best to follow this tradition every single day of the year) , except if you have serious OCD. The best thing about the Chinese New Year is the celebration normally lasts for 15 days, it finishes with a red lantern festival. Everywhere is decorated with lanterns and in the streets there is music and dancing. 15 days of celebration, only if we can celebrate Christmas for 15 days as well. Just think the queue of people to join the gym afterward, pure cash heaven!